Creating a video game with multiplayer is not an easy task, and keeping the servers full, even less so. While this upcoming fifth iteration of the Unity engine won’t be able to do much for the latter, its creator is still determined to make the development of such titles as easy and feature rich as possible. That’s not to say there’s a shortage of gather-a-couple-of-friends-for-some-gaming fun – be it local or online – amongst indie titles. Off the top of my head, there’s Cubemen, UFHO2, Slingshot Racing, Guns of Icarus, and StarForge, among other. 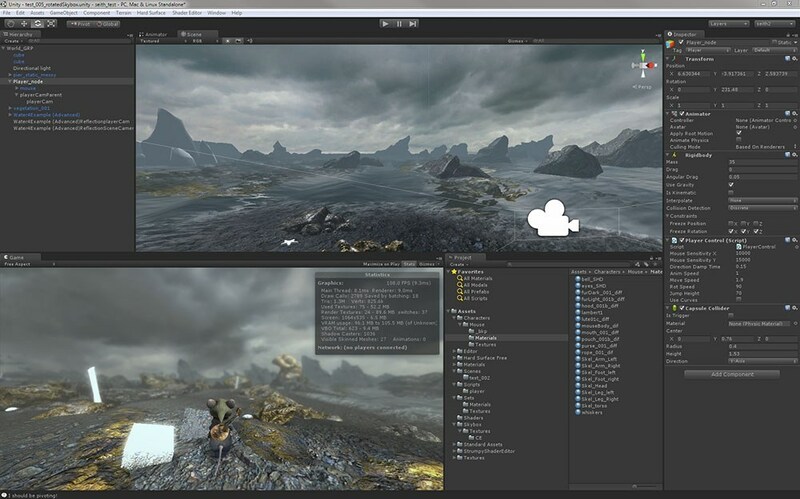 Hopefully the release of Unity 5 will bring even more interesting projects to the table. Unity 5’s launch isn’t going to be a case of ‘everything at once’ thing though, as UNET will go through several phases, each adding more to it. The first of these is the Multiplayer Foundation, which is for those with little to no network knowledge, as it’ll make matchmaking easier to pull off and in theory, solve firewall connectivity issues. There’s also plans for global UDP support, although when that will be implemented is unknown at this point. We had some inherent limitations with our legacy system that we needed to address and with our greater goal in mind it became clear that we needed to start from scratch. Those looking to upgrade from Unity Pro 4.x to 5.x will either have to reach into their pockets and come up with $600, which is certainly a fair sum. Could always go for the subscription-based plan instead though, as that’ll set ya back a more manageable $75/month. That said, Unity is actually available as a free download, but a license is required to sell your publications; if your annual gross revenue exceeds $100,000 that is. All in all, I’d say player and developer alike should be excited about Unity 5, which is set to be released later this year. I know I am!